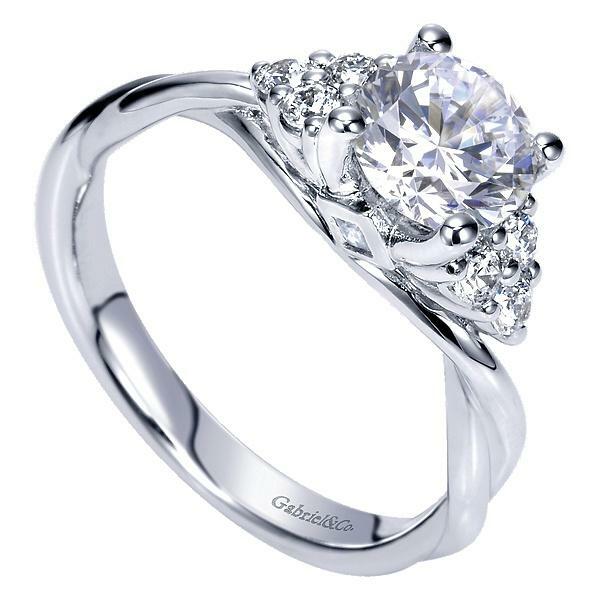 14k white gold and diamond ring. 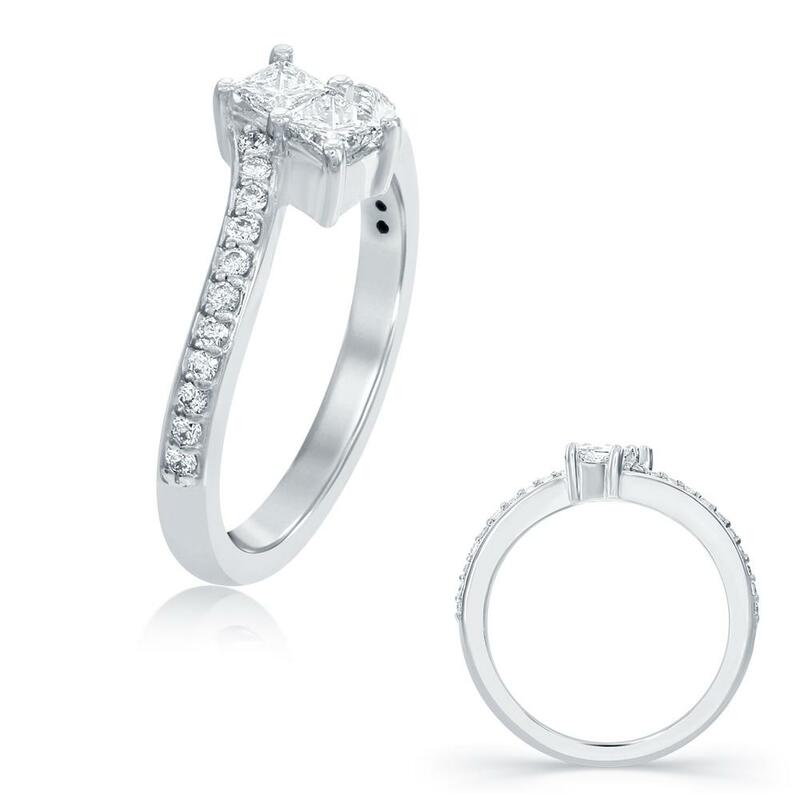 The ring features .33ct of round full cut diamond melee offering G-H color and SI clarity. 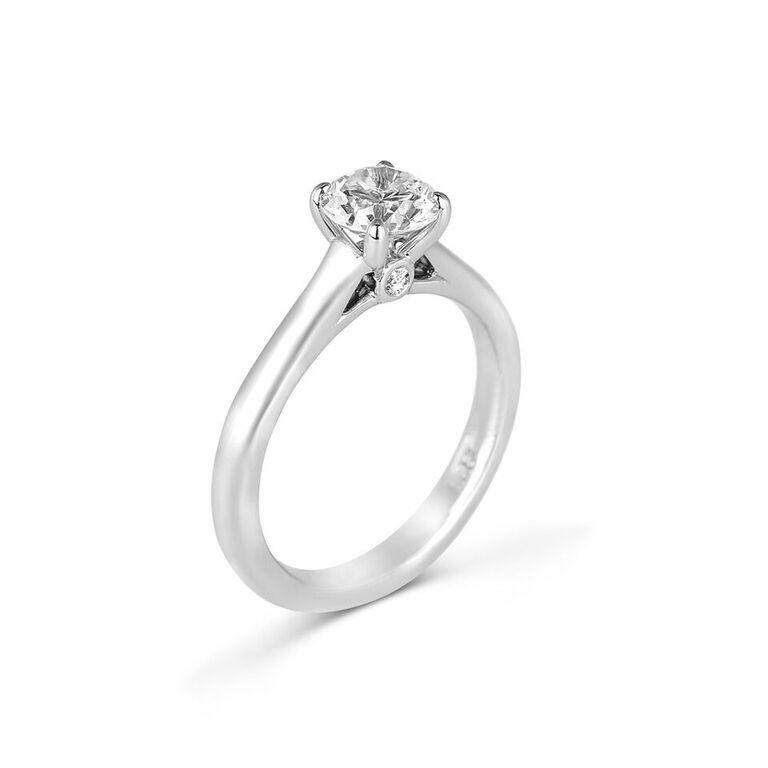 The diamonds are prong set in an elegant design with two main stones and the rest down the shank.